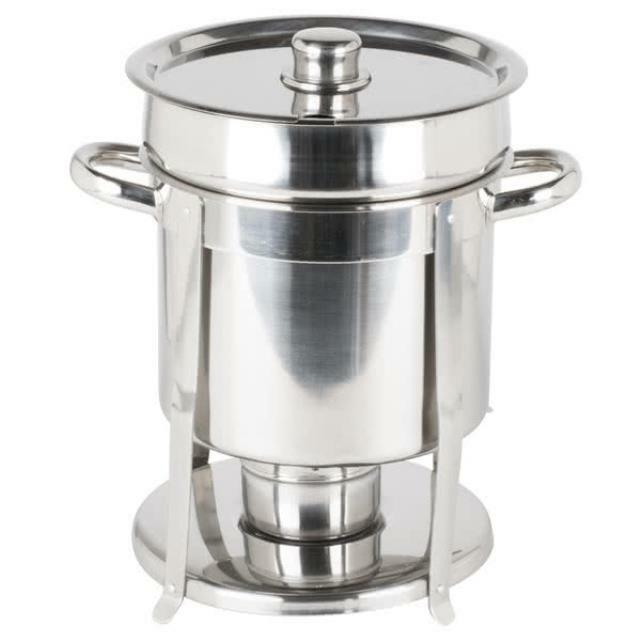 Standard stainless steel, round soup chafer with lid. Fuel can (1) is included along with boiler/water pan, food pan and ladle. Holds 11 quarts (44 cups.) 4 ounce stainless steel ladle is included with rental. * Please call us with any questions you may have about our soup chafer 11 qt rentals/sales in State College, serving Central Pennsylvania.